The goal of Rise and Grind is to show you how the daily grind of life and the daily grind of building muscle are really one and the same. Success in either endeavor demands hard work and consistency over a long period of time. To stay sharp and strong at the office or in the gym, you need to provide your mind and body with the fuel they need to perform at their best. I designed this nutrition protocol to reflect how I really eat, but it’s not always been that way. I was fortunate enough to have spent time competing amongst the best of the best in the National Football League and Canadian Football League. This sport demanded my best, most strategic efforts in the weight room, on the field, and in the kitchen. Still, I often look back and think that I could have been even better had I corrected the mistake of eating whatever I wanted, whenever I wanted—even though I was tightly tracking my calories. When I took my focus from micromanaging the numbers to caring more about food quality, while still keeping an eye on portions, I began to feel better than ever. It was as if the clock had turned backwards. I began sleeping better. I had more energy throughout the day, especially during my training. I recovered more quickly than I had before. 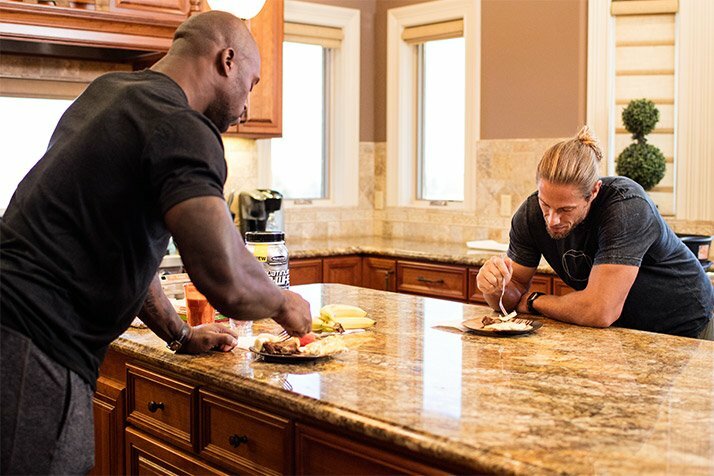 I’ve come to understand and appreciate food as fuel, and as a result, prioritize quality at all meals so that I can maximize the quality of my workouts and my recovery. Being able to give 110 percent each day during my workouts has been vital to my performance and physique achievements the past few years. Here’s how I do it, and how you can, too. Your body is capable of amazing feats. Yes, it’s even capable of converting garbage into usable fuel. But that doesn’t mean that you should rely on crap to get you through the day. Instead, you need to begin viewing your body as a high-performance vehicle, and fueling it appropriately. You wouldn’t provide a NASCAR racing car with bottom-grade fuel, would you? By ignoring fuel quality, not only are you skimping out numerous beneficial nutrients, but you’re making your body work unnecessarily hard to obtain the fuel it needs. Every food you select should have a purpose. The foods you choose should work for you, not against you. You don’t have to follow a food list to thrive on Rise and Grind. But if you’re the type who likes to have those parameters to guide you, I’ve provided you with numerous choices below. What makes these foods special? I’ve selected each of them because of their high nutrient density, or high amount of vitamins, minerals, antioxidants, and phytochemicals per gram or per bite. Once I’ve got those dialed in, the scale helps me add another level of control. To maximize muscle growth and minimize fat accumulation, you should strive to gain 0.5-1.5 pounds per week. If you notice that you’re losing weight, your weight is plateauing, or you’re gaining weight too fast, you may need to manipulate your total portions throughout the day, or even take time to start paying stricter attention to daily calories to make sure you’re taking in the appropriate amount of calories to gain weight. 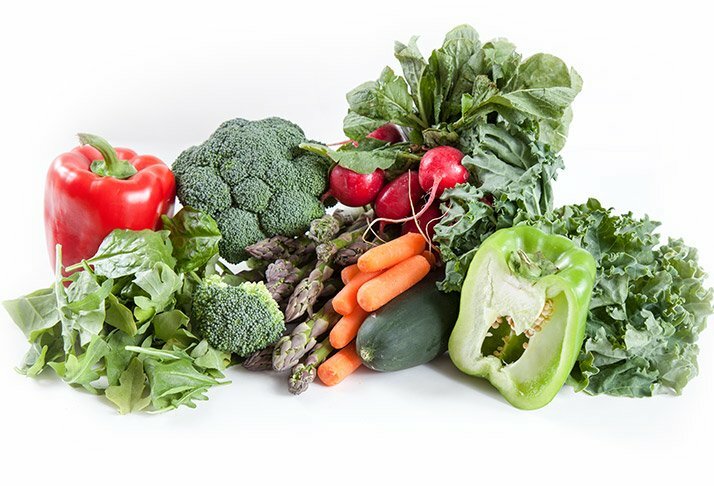 To ensure your mind and body have the nutrients they need to perform at their best, it’s imperative that you consistently take in the proper nutrients throughout the day. I recommend you eat three main meals and 2-3 snacks throughout the day, which boils down to you eating every 3-4 hours for most people. *Example: if having 2 servings of carbohydrates for lunch, you can choose one handful of pasta and one medium apple to satisfy your two servings. Here’s how that information looks spread over a day, assuming you train around lunchtime. You can easily manipulate this arrangement to account for training in the morning or night. I’m aware that there’s much debate, and still much to be learned, regarding the importance and significance of the post-workout anabolic window. Regardless, I have found that honing in on the post-workout period has afforded me to progress and recover better than I would otherwise. Here’s how I handle it: Within 20-30 minutes of finishing my last set, I like to have a post-workout shake consisting of 20-30 grams of whey protein and 40-60 grams of fast-digesting carbohydrates. 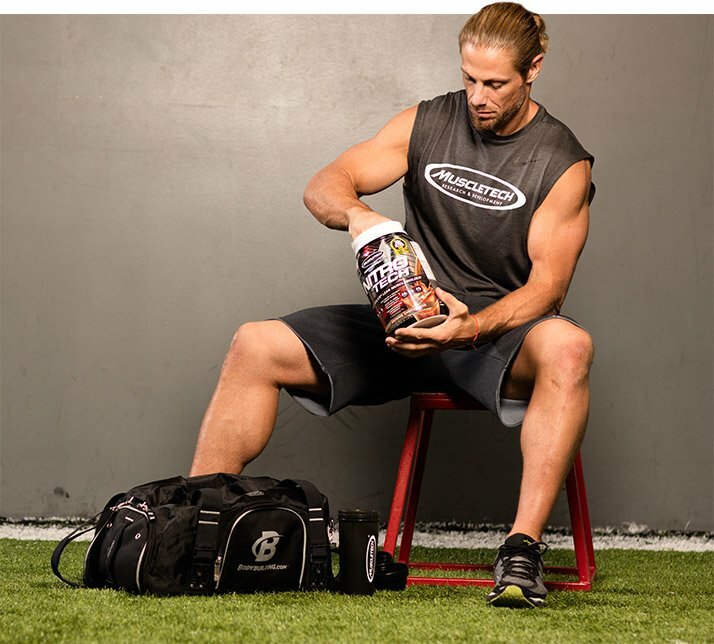 Depending on your size, the amount of carbohydrates may need to be manipulated, however, whey protein should fall within this 20-30 grams to ensure you reach the minimal threshold necessary to maximize muscle-building. Then, 90-120 minutes later, I have a full meal. 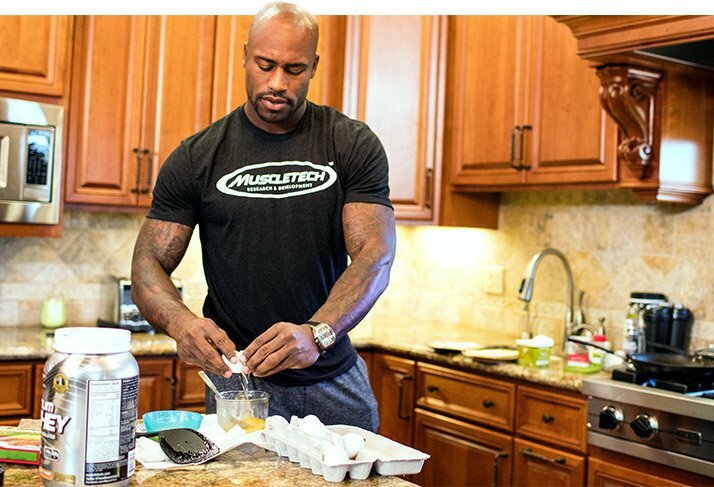 On non-training days I opt for three meals and just two snacks throughout the day. And because I no longer have a pre- and post-workout meal, I do away with the 2-3 portions of carbohydrates at two meals, and instead ensure I at least get 1 portion of carbohydrates at each main meal throughout the day. I then may or may not have a serving of carbs at each snack, depending on how I feel that day. The more you train, the more supplementation you’ll need, because training is not normal. The amount of stress you put upon the body isn’t ordinary for most people. You’re asking your body for a little bit more, so you’re going to give your body a little bit more. That’s how you get the very best benefits. For me, supplementation is all about making sure I get the very best out of your training, and out of my body. That’s the approach you’re taking in Rise and Grind. 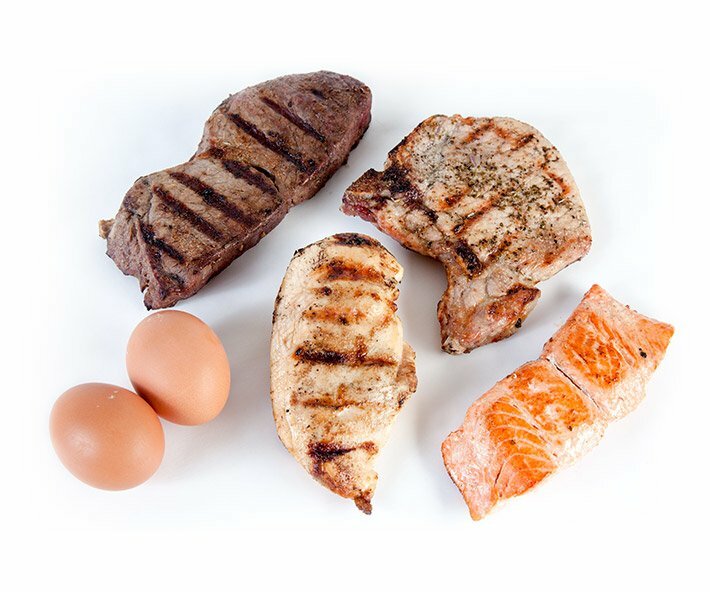 So you’re going to get ample amounts of protein, and take care of your pre-workout and post-workout nutrition. Protein: When you’re trying to hit a goal for daily protein intake, there’s no substitute for a scoop of protein powder here and there. Whether around a workout or for an end-of-day snack, it’ll help you turn your hard work into results and maximize recovery. Pre-workout: A pre-workout can help you stay energized and focused during a workout where you’d otherwise be dragging. It’s not always essential, but it can be a huge help at the right time. BCAAs: Aminos are great to take before, during or after a workout. They can help decrease fatigue and muscle soreness, and many people find that sipping on them during the day helps them deal with a sweet tooth. If you’d like to add other supplements to your program, I suggest a multivitamin, a fish oil, and creatine. If you’re relatively new to consistent weight training, I also recommend HMB, which can help limit muscle breakdown. I recommend taking all of them with breakfast. At the end of this program, you will see great gains in strength and muscularity. But you will also have built healthy, positive habits in the gym and the kitchen, and that will pay off more in the long term than any single workout. Approach the next six weeks as training for the rest of your life. Then live up to the challenge! Shop MuscleTech In Our Store!